I'm in Beijing, China. As such, my good friend, David, is going to pick-up the box this week. David shares the appreciation for good food, especially the organically, locally grown variety. He's also an incredible cook. I'm looking forward to seeing what he does with the box and will report back. 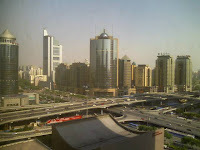 Food aside, please see a bit of my Beijing experience here.